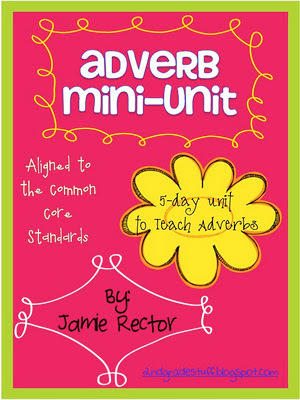 Adverb Mini-Unit - Common Core Aligned! I don't know about you guys, but this cold weather is keeping me in the house where I can get some "stuff" done! 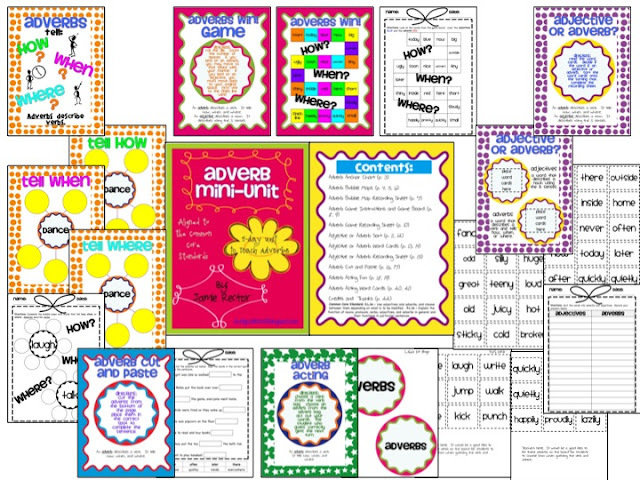 I just posted my Adverb Mini-Unit to my TpT Store! It is aligned to the Common Core State Standards and provides a fun approach to grammar! See the picture below for a preview of everything that's included. I hope you enjoy! Click on the picture above or click here to download! Thanks! This looks wonderful, Jamie!! I just bought it!! Yeah!! Thank you, thank you Rebecca! Let me know how you like it! :) Thanks for downloading!